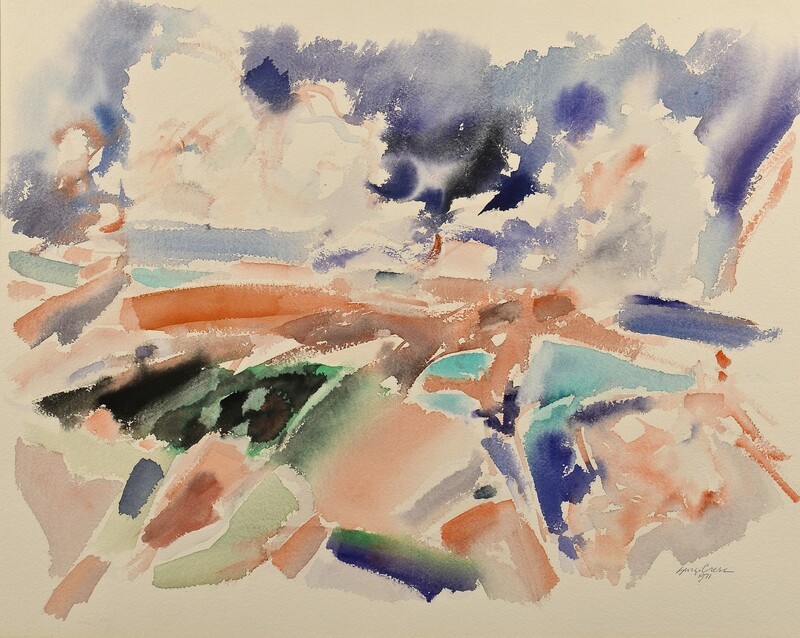 George Ayers Cress (Alabama-Tennessee, 1921-2008) abstract watercolor Cubist-inspired landscape comprised of green, rose, grey, blue and black colors. Pencil signed and dated "George Cress 1971" lower right. Housed in a simple wooden frame. 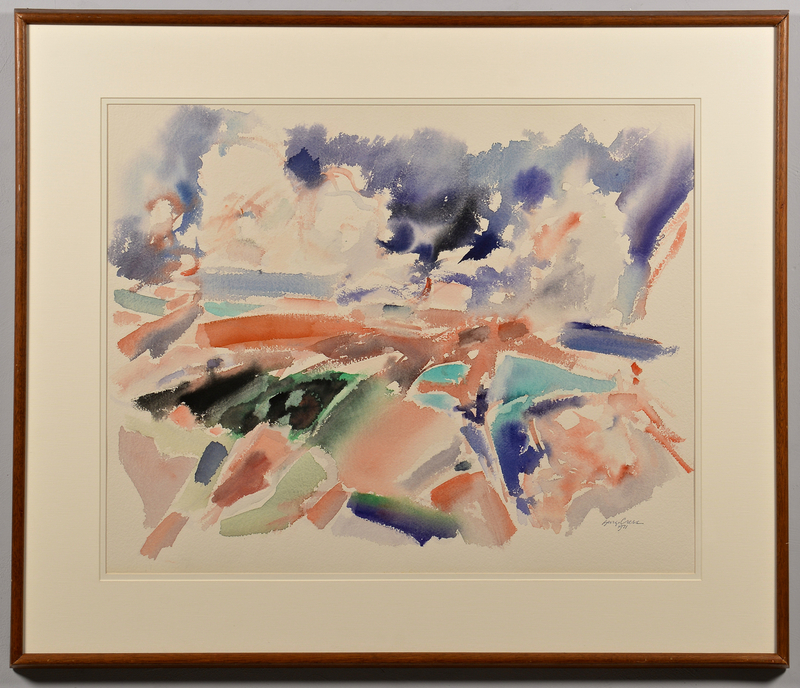 Sight – 22 1/4"H x 27 1/4"W. Framed – 30" H x 36" W. Biography (courtesy Askart: The Artist's Bluebook and Landscape and Genre Painting in Tennessee 1810-1985: Tennessee Historical Quarterly Vo. XLIV No. 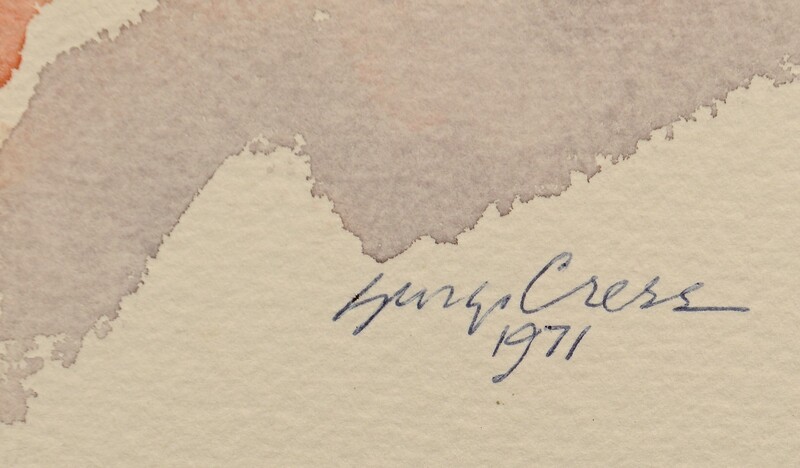 2 ): George Cress was born in Anniston, Alabama and studied at Emory University, American University, and the University of Georgia, where he studied under fellow Southern contemporary artist Lamar Dodd. He was a central figure in Chattanooga's arts community and served as President of the Tennessee Arts Council and sat on the board of the Hunter Museum of Art. 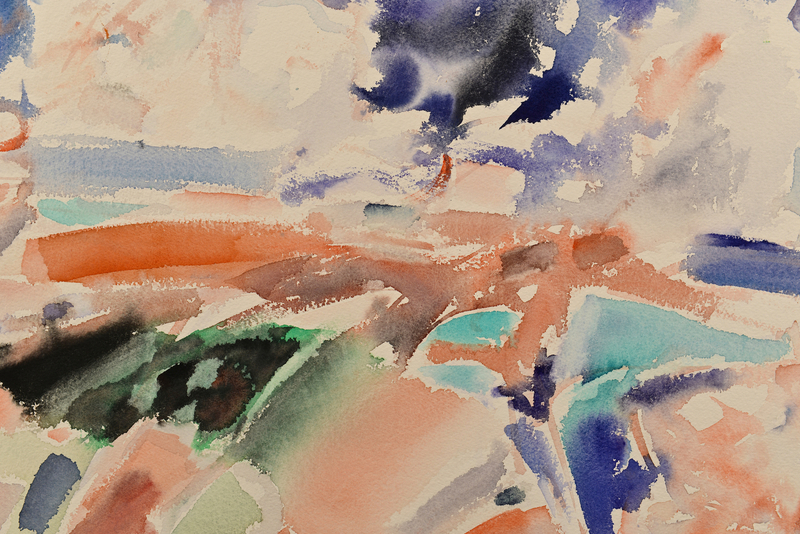 From 1951-1984 was painter in residence at the University of Tennessee in Chattanooga; the Cress Gallery of Art at UTC is named in his honor. Condition: Painting overall very good condition. Some minor abrasions to frame. CONDITION: Painting overall very good condition. Some minor abrasions to frame.